The Brindisi 23 print features a light blue and white Indian themed repeat graphic which showcases elephants, tigers and horses hidden amongst the coconut trees. If you look carefully, you may even spot the Rose family cat hiding amongst the flora and fauna of this print which is inspired by the family's annual trips through South West India. The finishing touch for every smart man. Our luxury handkerchiefs ensure you're looking your sartorial best, whether it be at work, a wedding or just dressed up with a touch of panache on the weekend. 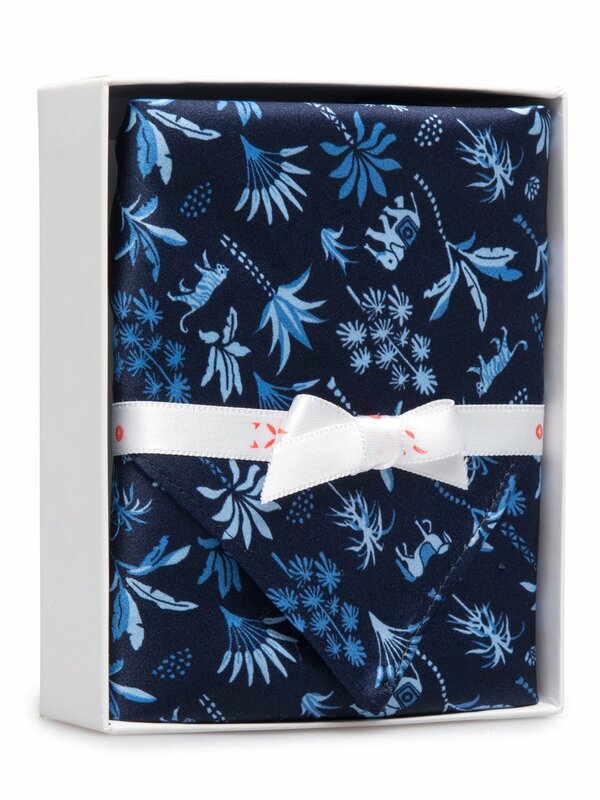 Digitally printed on to 100% pure silk in Italy and boxed in our signature Derek Rose packaging, our handkerchief box sets make for the perfect gift or personal treat.